1.Cut or thinly slice all the your veggies you desired to have on your Ramen. 2. For Broth: Combined all the ingredients. 3. Keep stirring the broth or Ramen Soup and bring it to a boil about 5-10 mins. 4. For Noodles: Put water in a pan, salt and the noodles. 5. Bring them to a boil for about 5 mins or until desired tenderness. 7. 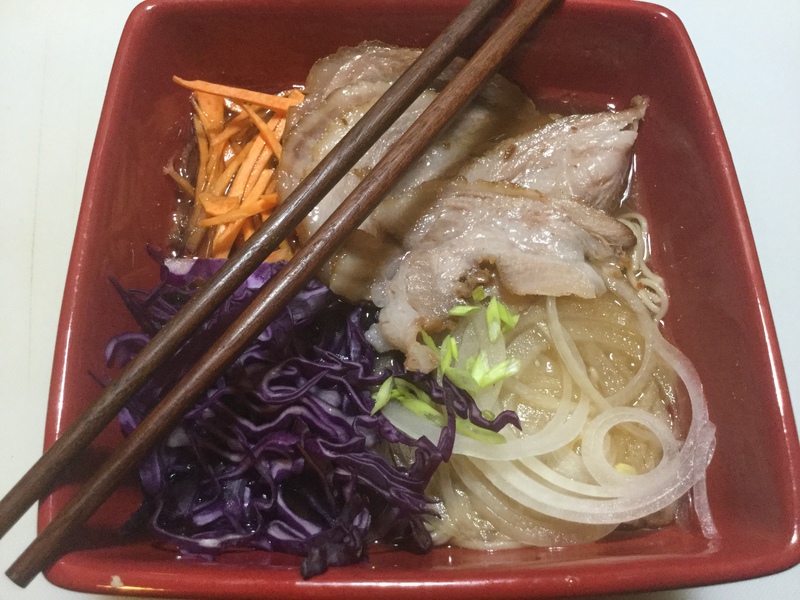 Put your toppings on top of the noodles such as veggies and pork chashu. Add Chili Garlic to add a kick of spicy on your ramen.